My heart has been racing and my mind churning since our meeting last night on level minus 4 of the Jerusalem municipality parking garage. Since my All The President’s Men-inspired leap into journalism when I was just out of college three decades ago I have long imagined of meeting someone like you. It was one of those fantasies that I always assumed only came true for other guys, never for me. But the minute I saw you standing between Deputy Mayor Yehoshua Pollack’s pair of specially-engineered Fiat 500s (one for his left side, one for his right) I knew that Herzl was right: If you gullet, it is no dream. It wasn’t just the slender, shapely legs in those sheer dark stockings, although I could not help but notice them. It was not just the knee-length, businesslike, but tantalizingly tight black skirt or the matching, perfectly-tailored jacket. No, what really caught my eye at the first glance was what I saw bulging under the jacket, as if they were desperately trying to break free—two large compact discs that I knew could change my life forever. Certainly the manner in which you contacted me only added to the fascination. You must have observed me carefully to know that I always use the rightmost urinal in the Jerusalem Malha train station. So imagine how stunned I was when I saw the pencil scrawl there last week: “Good time, top secret documents,” and your cell phone number. I knew right away that it was meant just for me. “Hello,” your throaty voice answered. My heart fell. I have enough crazies pushing their conspiracy theories on me. 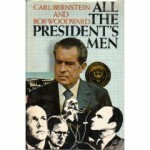 Not only that, it emerged, but each personality had a talent for ingratiating itself with highly-placed, powerful men. In one single body, you related, coexisted the mayor of Jerusalem’s executive secretary, the prime minister’s chief domestic advisor, the chief of staff’s personal trainer, and the tea lady in the Mossad’s front office. And on each job, you said, you had copied onto cds documents that would scandalize Israel and the world. When we met in the garage you gave me a rundown of what you’d collected. I popped the first cd into my laptop. Two clicks and on my screen I saw a letter from the mayor in which he thanked a prominent local developer for arranging him free pizza deliveries, and promised, in exchange, to expedite said developer’s plan to tear down the al-Aqsa Mosque and build an amusement part in its place. Another couple clicks brought us to an audio file. It was the prime minister’s voice, ordering the targeted killing of all the finalists slated to compete with his son in the annual International Bible Quiz. On the second disk you showed me a video in which I saw the chief of staff lurking in an alleyway in Jaffa. A man in a long black cloak, long beard, and sunglasses appeared. I originally assumed he was a certain high-placed official in the Shas party, but I soon realized that it was actually Sayyed Hassan Nassrallah, secretary-general Hezbollah. Nassrallah handed the chief of staff a thick white envelope, upon which the chief of staff led him to a beachfront parking lot where a Merkava tank sat, and handed Nasrallah the keys. Any one of these stories would have been enough to lift me from the obscurity of the science beat and make me into the most famous and admired journalist in Israeli history. But then you logged into Facebook and showed me who the Mossad chief’s friends are. Before you could slap me in the face for the awful pun I grabbed the cds and ran. Sorry, babe. I had a deadline. The editor looked at my computer. He pursed his lips. He put his feet up on his desk. “She’s a concerned citizen blowing the whistle on the sleaze she sees around her,” I said. So, what can I say, Profound Esophagus? For one brief shining moment I thought my career was made. Book contracts. A movie. Endless speculation, over decades, about your identity (or identities, may all of you live to 120). And along the way I thought maybe we’d have coffee, and talk, then go back to your place and do something to make Israel a more honest, cleaner, better country. But what are my fantasies worth when my country’s very existence is at stake? I hereby return the cds. I just hope that some of you are still around to receive them. Fabulous article! I follow your articles in the Jerusalem Report always.